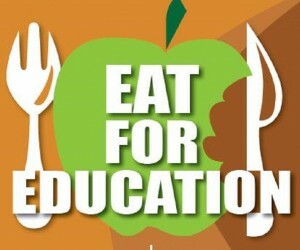 Eat for Education raises awareness of how nutrition and hydration improves children’s learning and raises funds to make sure we can provide clean drinking water and basic kitchen facilities at as many schools as possible. Bring together friends, family or colleagues for a meal in aid of Sabre. It could be breakfast, lunch, a picnic for the kids, a midnight feast or even a takeaway! Your event is a great chance to share information about Sabre or maybe your own experiences of Ghana. By asking your guests to make a donation to join you for your meal, you will be helping us to build a brighter future for thousands of school children in Ghana. We have put some fundraising packs together to support your meal so please get in touch so we can help get you started. 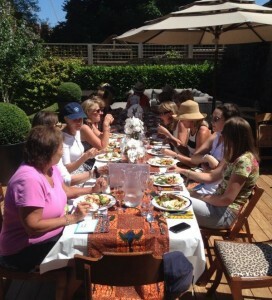 Take a look at this fabulous Ghana themed luncheon hosted by one of our friends last year as part of our birthday celebrations; it was a great inspiration for our Eat for Education initiative. We love the beautiful Ghanaian fabric used for the table runner. Join restaurants, cafes and bars throughout the UK to raise awareness of how nutrition and hydration improves children’s learning outcomes, by asking your customers to make a donation to enjoy a jug of drinking water or donate a percentage of the proceeds from one of your delicious dishes. We would love to help you promote your event so please do get in touch and we can provide a range of marketing materials to help. Here are some of the amazing businesses joining our campaign!